This is very simple but authentic orange-reddish color chutney that very well goes with Indian snacks as well South Indian platter also, even you can have it as a side dip with your meal. This is little bit sweet and spicy tasty chutney. A good sweet fruit chutney is popular in Karnataka as well as in Uttar Pradesh also but I can made this chutney in my own style with very less ingredients which is easily available in our kitchen. It's delicious as well as yummy also. We have this chutney with simple Dal-rice also. 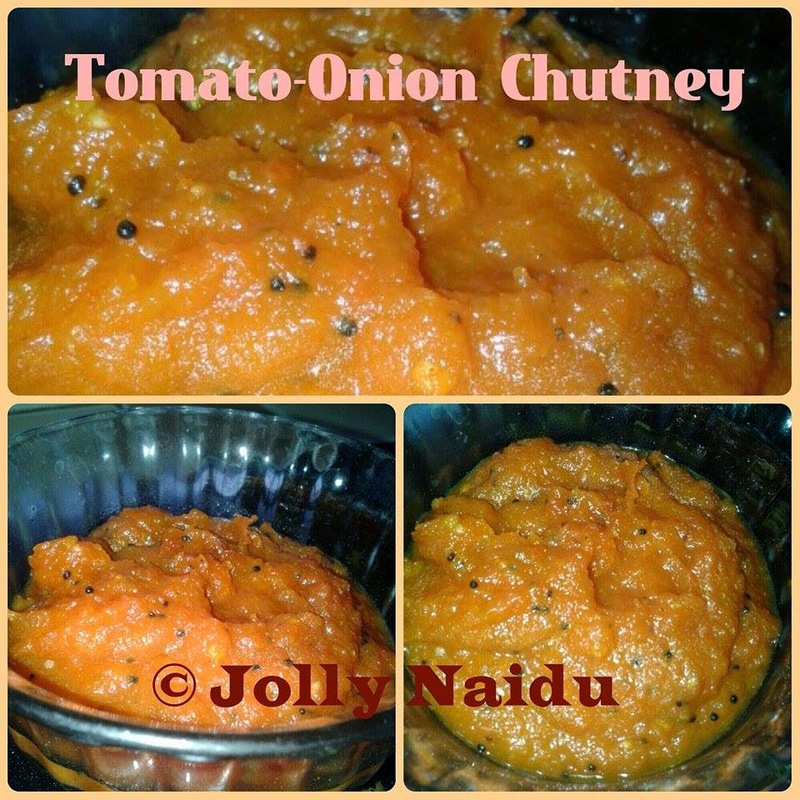 Now, I am posting a simple and easy version of Sweet n Spicy Tomato-Onion chutney today. 2. Grind together with chopped onion and tomato along with red chilli powder, green chillies and salt without water. 3. Heat oil in a pan, add mustard seeds and wait till to splutter, now add curry leaves. 4. Add tomato-onion puree into a kadai with 1 tbsp of water and bring it to a boil and stir it continuously. 5. Boil it, when it becomes thick, it changes the color. Now add a tbsp of powdered sugar in it and Mix well. 6. 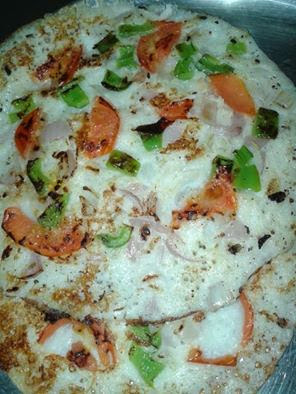 Your Tomato-Onion chutney is ready to serve with uttapam or dosa or rava idli.